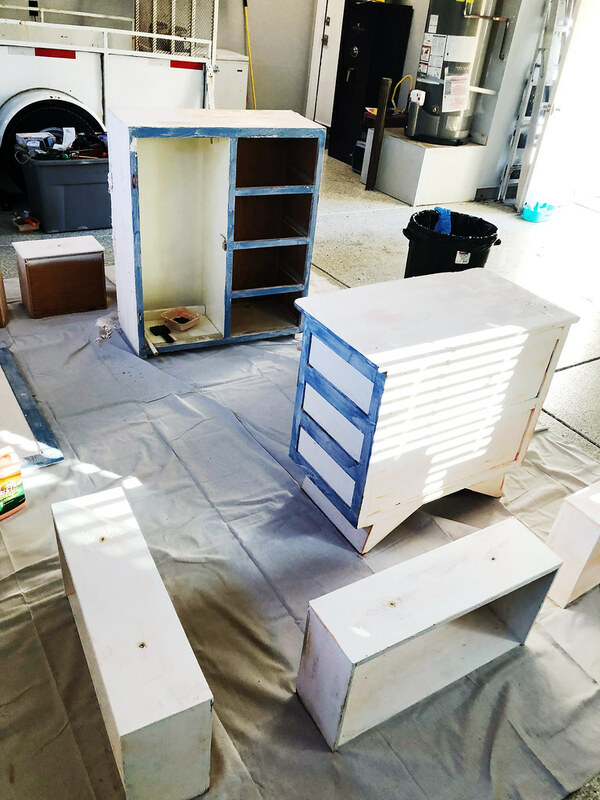 This week I pushed myself to start the task that out of this whole project will be the most work but the most rewarding: repainting my old nursery furniture. 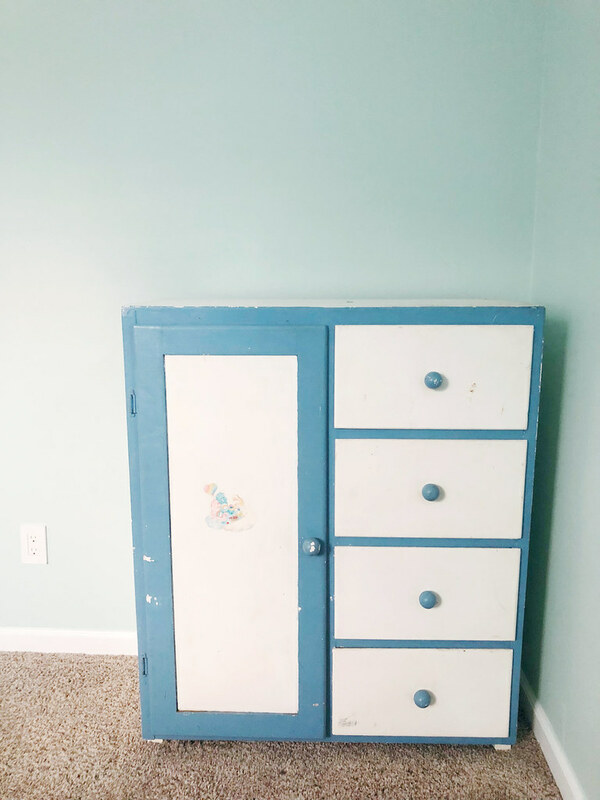 My old nursery furniture consists of a 3-drawer dresser and a child-size wardrobe. 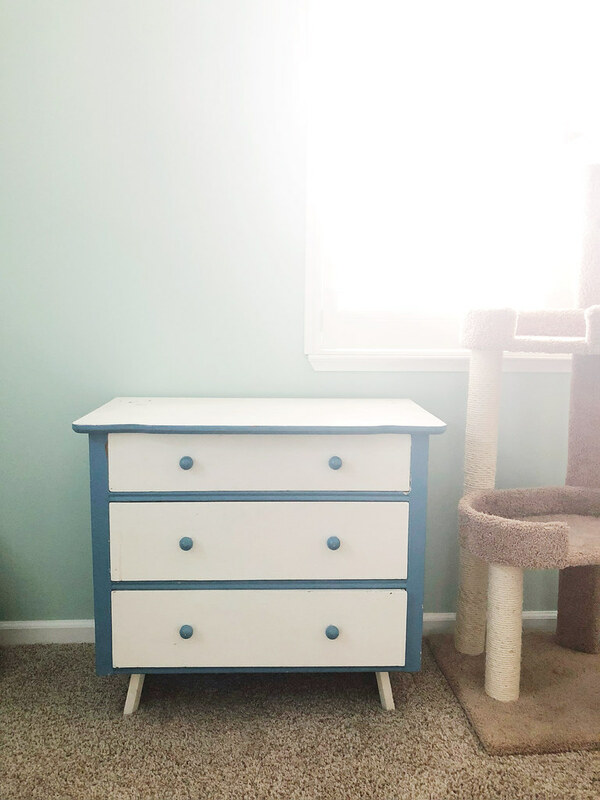 When I was a baby, it was white but at some point between me and my sister, my mom repainted it to add the blue trim. 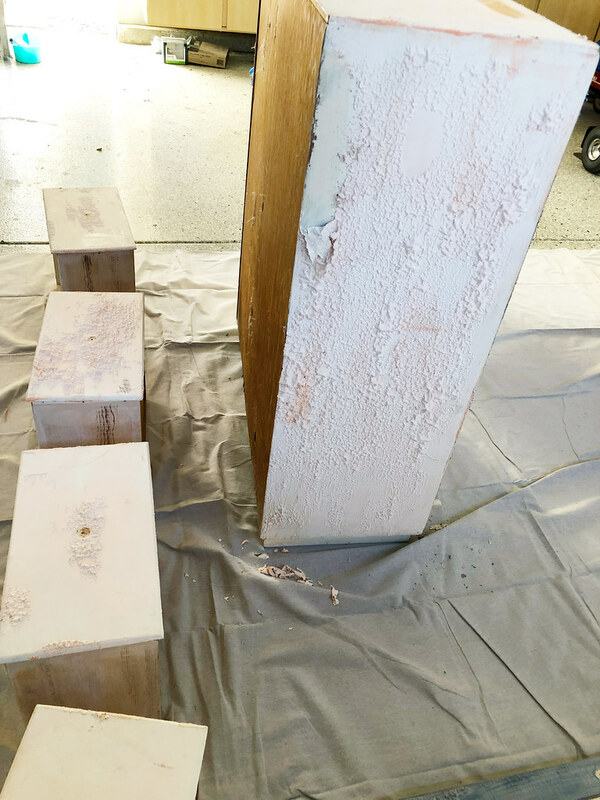 My plan was to strip away as much of the old paint as possible and see if I could stain parts of the wood. 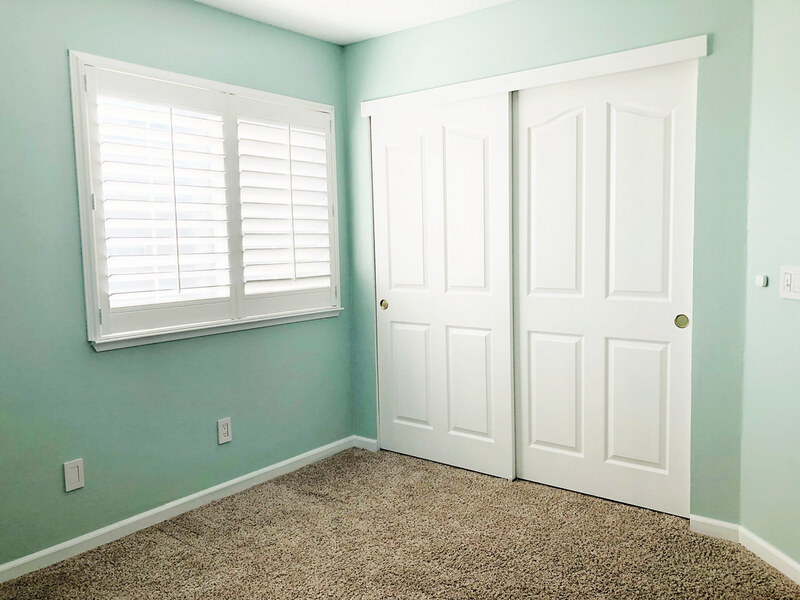 If not, I’d plan to paint them white and add color to the doors/drawers. 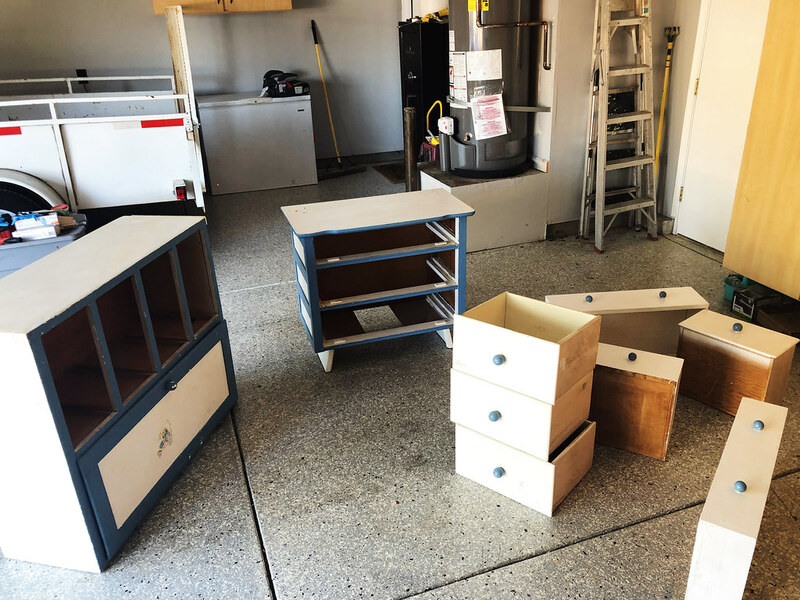 Joshua and I brought the furniture out to the garage so I could start the stripping process. I picked up a bottle of Citristrip and applied it with a large paint brush. 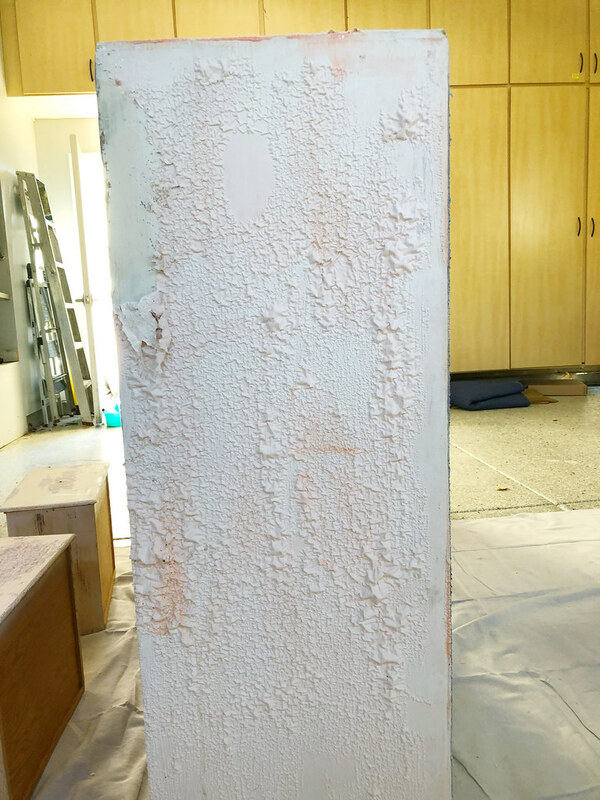 It definitely worked to remove the layers of paint my mom put on, but as we scraped the old layers off we determined our best bet is going to be completely repainting it as opposed to refinishing any wood. It’s all good because I popped onto Pinterest to look at some inspiration, and I’m pretty excited about it. 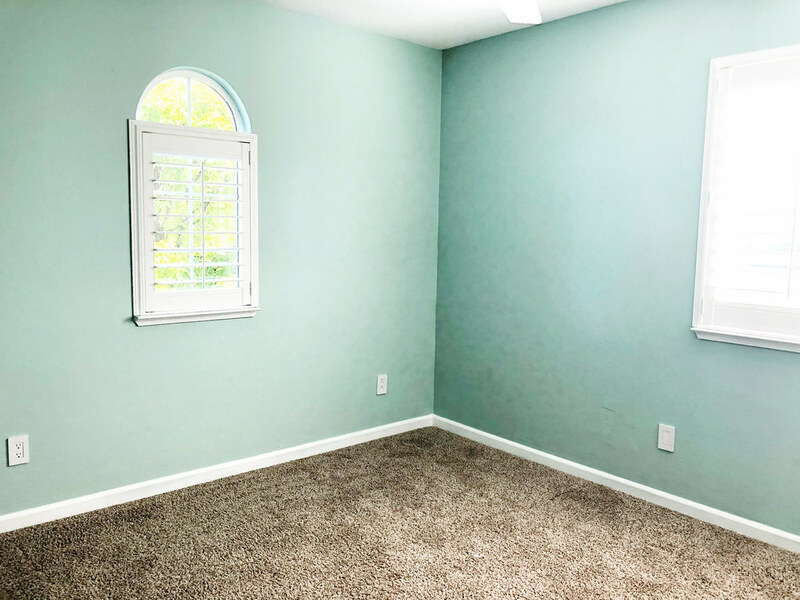 In addition to starting on the furniture, I also cleared out the entire room. Izzie’s scratching post went downstairs, and everything else was put into storage around the house. Now that I’ve got a clean slate, it makes it much easier to start visualizing where things are going to go. Next week the plan is to continue on the furniture and create a floor plan for the room.